Book 4 transitions players to rhythm and real note values. 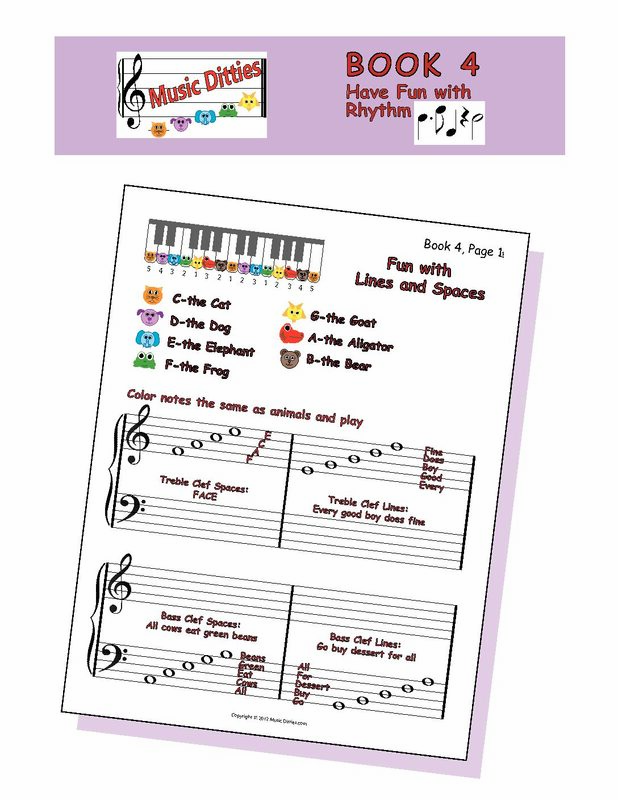 In Book 4 you will continue to learn the regular notation using rhymes and colors. More rhythms are introduced through the book, such as quarter note, half note, whole note, and eighth note rests. 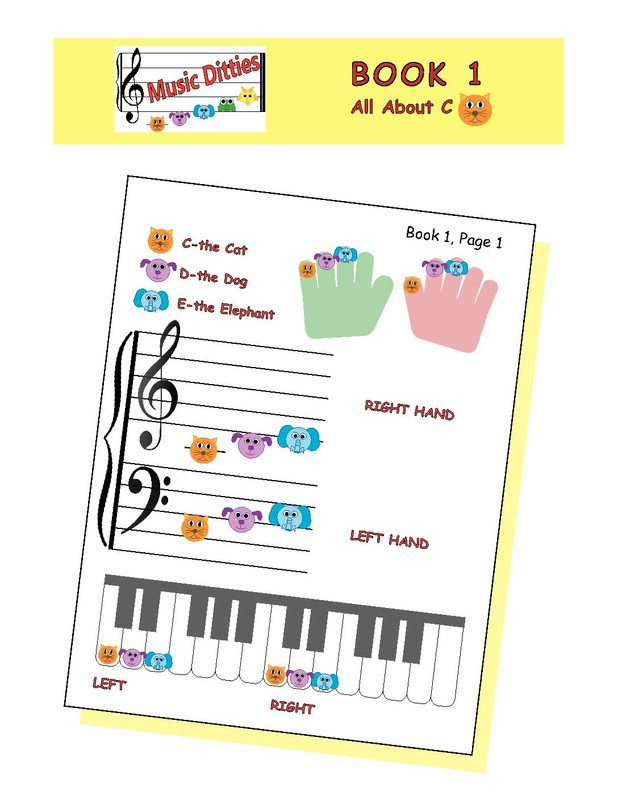 The C major, F Major, G Major, A Minor, and B-flat Major Scales are in whole notes for easy reading and can be colored the same as the animals if needed to help students make the transition. 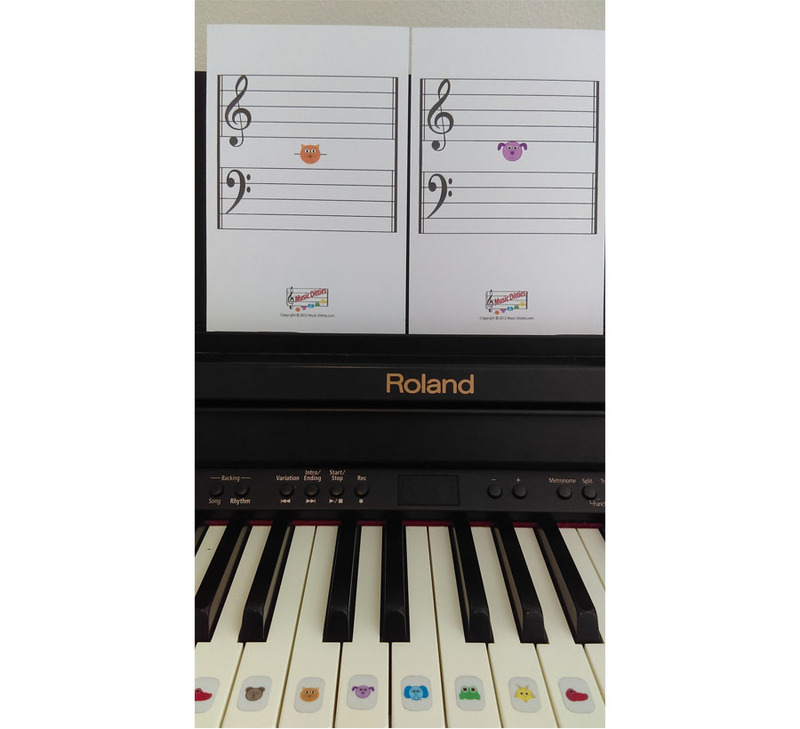 Along with a review of whole notes, half notes, and quarter notes–dotted half, dotted quarter, eighth, and sixteeth notes are introduced, with exercises and practice pages that go along with the song that is being learned. Chords are reviewed from the Pantely Piano Books 1-3, as well as introducing the B-flat Major, E-flat Major, and E Major chords. The songs you will learn include Haydn’s Surprise Symphony, Tchaikovsky’s Sleeping Beauty Waltz, Saint-Saens The Swan, Mousorgsky’s Pictures at an Exhibition, and Scott Joplin’s Maple Leaf Rag. You will also learn additional musical terms, such as Time Signature, Octave, mp (mezzo piano), mf (mezzo forte) and Adagio et legato. 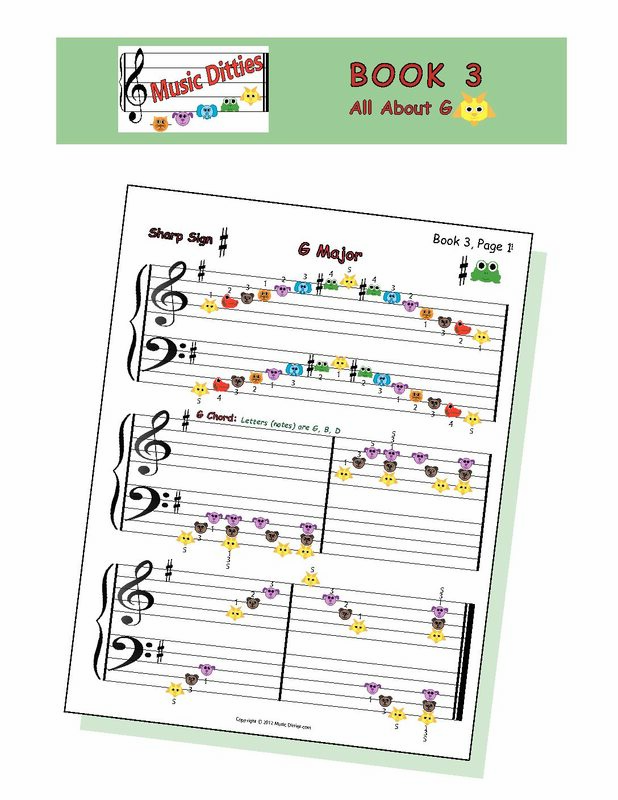 Book 4 not only allows you to transition to and learn regular notations and rhythms, but it can also be used as a reference book for music teachers, homeschoolers, parents, and individuals wishing to learn music.